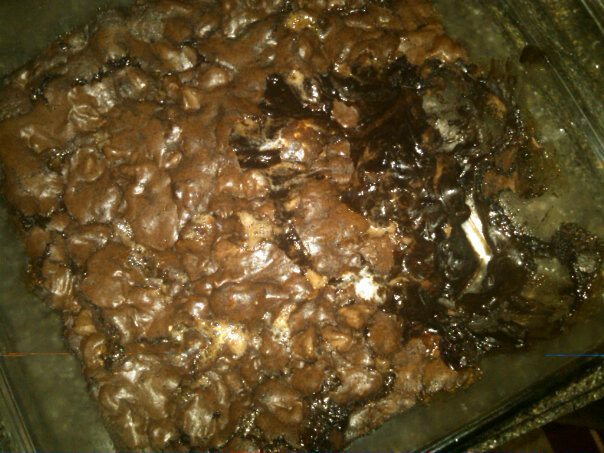 Just get a brownie mix, add some chocolate chips and mini marshmallows. When this came out the oven it was like molten lava, this morning at least the brownie hardened but everything else is gooey decadence! ... And if I had almonds, it would have been a toasty topping!